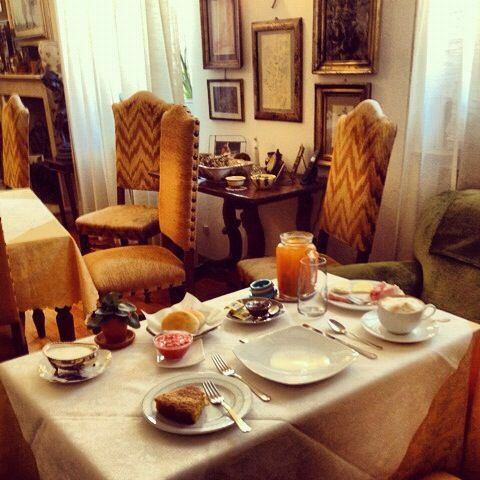 One of my all-time favorite travel discoveries turned out to be the first bed and breakfast in Italy! 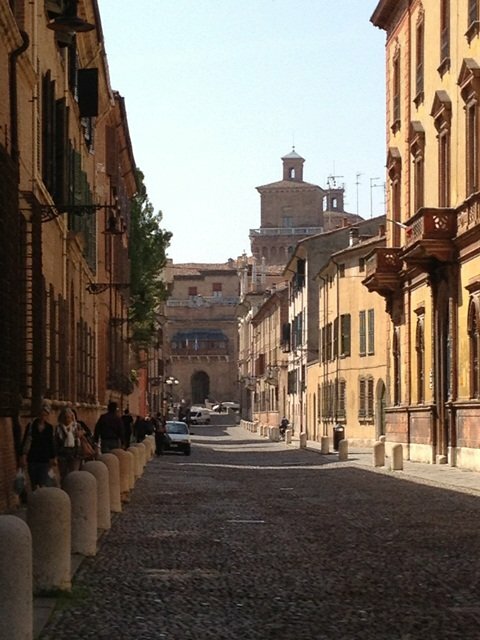 After visiting Milan and Venice, I sought out a less-known, small-town experience and discovered it in a place I had never heard of before – Ferrara. 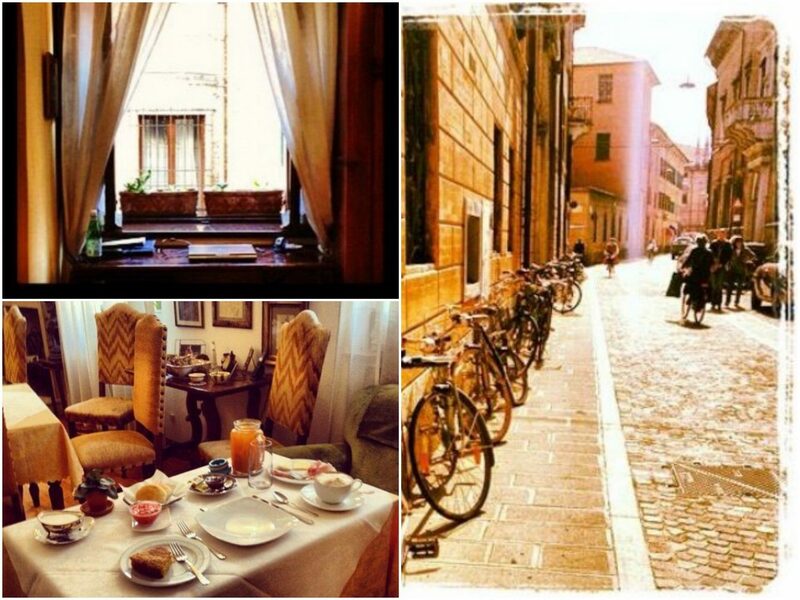 Here is where I experienced the first bed and breakfast that existed in Italy, the Locanda Borgonuovo. 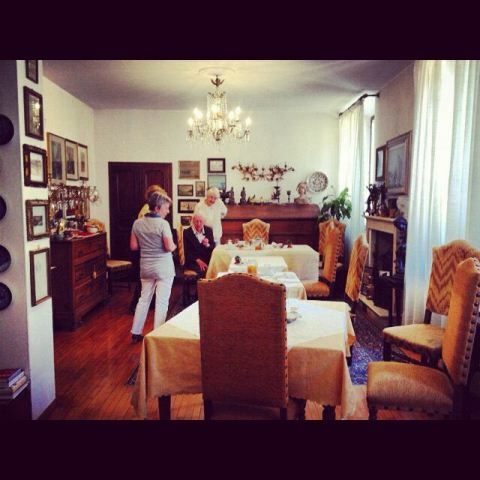 It is ideally located steps from the Estense Castle and is run by Adele and Andrea who are the wonderful couple that own the home and manage the B&B with their son Filippo. They were so kind to share with me the amazing stories that are part of their historic home. 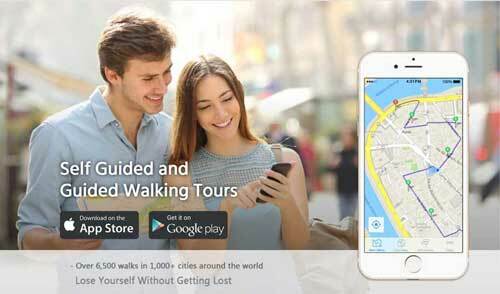 Before you assume that to stay here would be expensive and difficult, read more to not miss out on the truth. 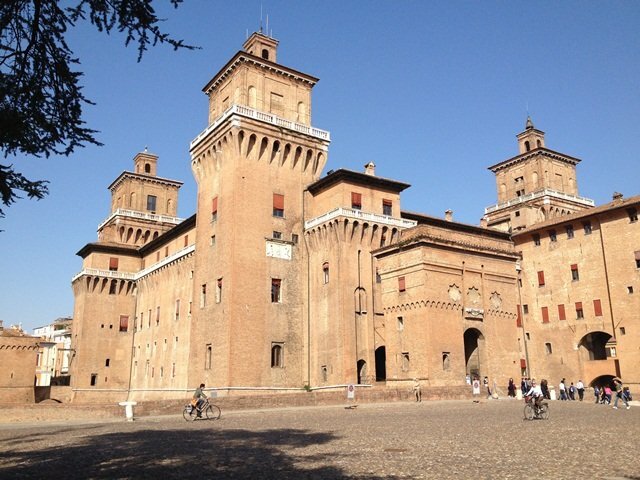 Above Image – The Estense Castle, steps away from the B&B. Easily en-route along the train line to Florence, this medieval town of Ferrara is a UNESCO World Heritage Site for its beautifully preserved remnants of medieval urban planning. 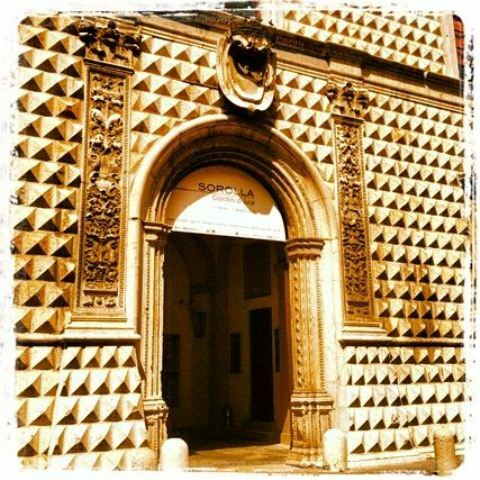 The Locanda Borgonuovo was built in 1639, originally as the convent for the small church that is still attached to the building. Later, Napoleon would separate the convent property and designate it as residential property available for purchase and use by the public. From that time on, it was owned and used as an individual residential home and in the early 1900’s, Adele’s father bought the home and raised his family there. 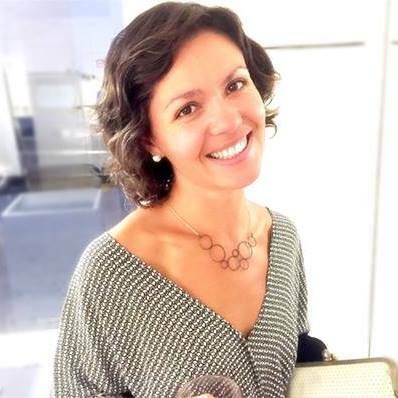 Today, Adele and her family bring to the Locanda Borgonuovo their extensive experience in hotel management. 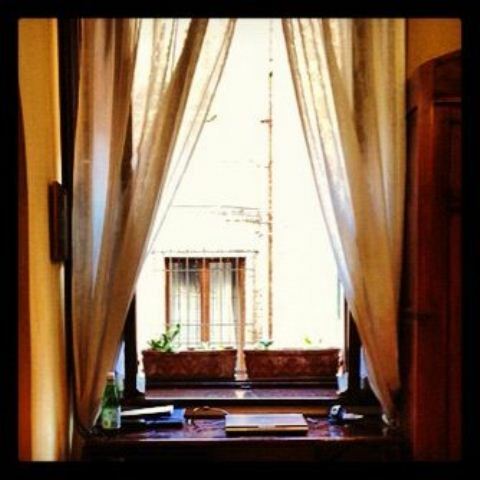 As she studied and lived in other parts of Europe, she learned about bed and breakfasts, also known at that time as guesthouses, but they were not yet introduced to Italy. 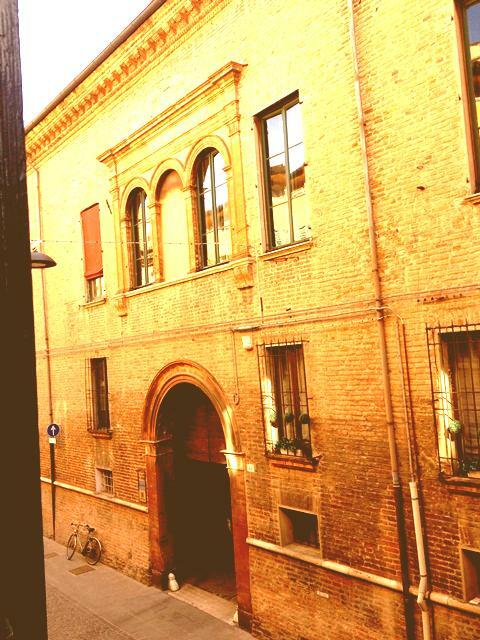 From these experiences, her and her family developed the idea to use their home in Ferrara to introduce to Italy the concept of a bed and breakfast, which they opened in 1994. I can testify first-hand to the success of their desires, because to this day, it is my favorite bed and breakfast I’ve ever experienced. My room was clean, comfortable, and rich with dark woods and handcrafted quality in the build. From the wardrobe to the gorgeous tall window with heavy wood shutters, I was extremely pleased and enjoyed the spaciousness and comfort. Yet my favorite part of the experience as a whole was breakfast. How do I really capture the experience? 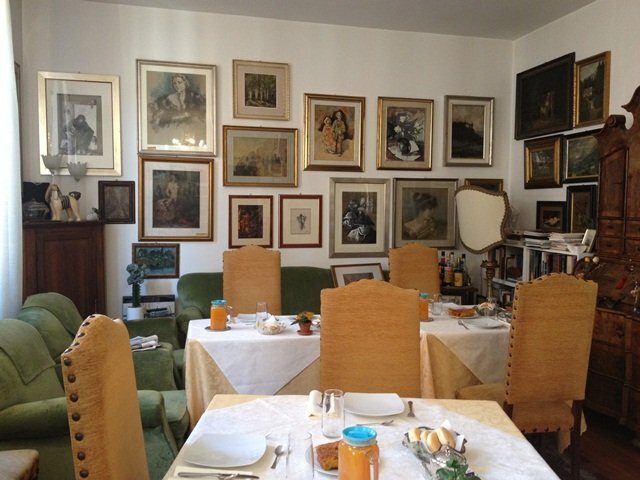 Entering into the breakfast room was like stepping back into time…the layout is long and rectangular and the walls are adorned with such an array of artwork; paintings of all mediums as well as photos, from times and artists of what seemed to be an endless variety. Adele explained to me that she and her husband have both been collecting artwork since they were in school. A handful of tables are elegantly dressed with white table cloths, fine dish settings, and fresh flowers. Along the outer-facing wall are tall windows with ledges that contain a quaint array of old books, potted plants, and perhaps an occasional candlestick here and there. Add to this the gorgeous crystal chandelier hanging from the ceiling in the center of the room, and you can see how the setting takes you back to a much earlier time of Europe. 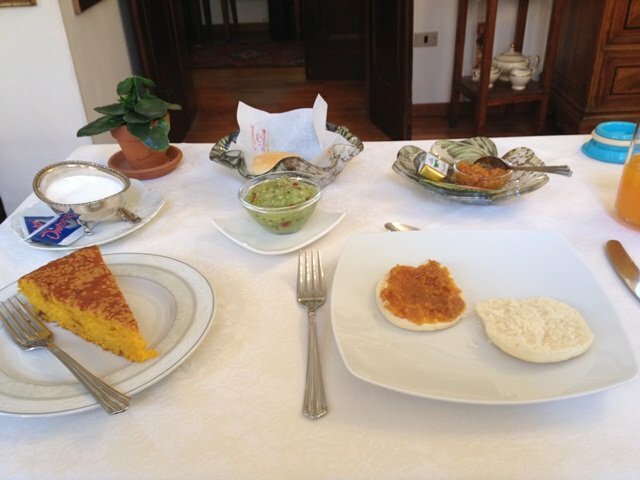 The setting is not alone in its excellence…Adele home-cooks the breakfast, even providing gluten-free foods. There is everything from biscuits with homemade strawberry-kiwi jam, meats and cheeses, piping-hot cappuccino, to fresh strawberry and apple fruit salad. The highlight for me was the gluten-free almond-carrot cake that was made with almond flour. From the décor to the food, my stomach and eyes felt as though I could stay in that room all day. 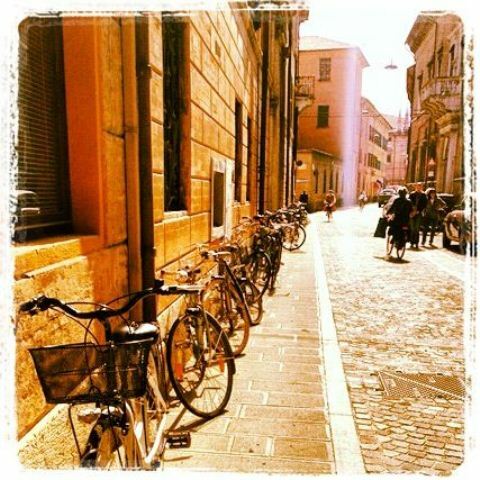 Yet, the town of Ferrara and its many Renaissance treasures were waiting to be discovered by me. Adele and her family were very helpful in answering any questions I had and informing me of the special holidays and art exhibits currently taking place that I could enjoy. 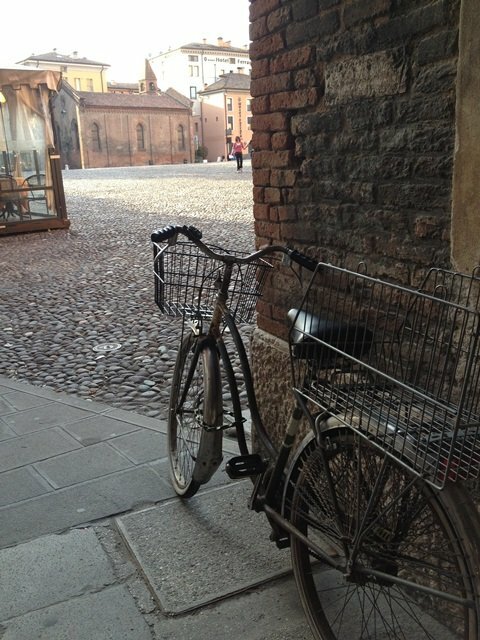 During my three days there, I enjoyed the lush green parks and art exhibit at the Palazzo dei Diamanti, riding the bicycle that the B&B freely provides to all their guests, and even an evening of live jazz music at the well-known Ferrara Jazz Club. It is amazingly housed in the round medieval tower of the historic wall that still remains around the town. 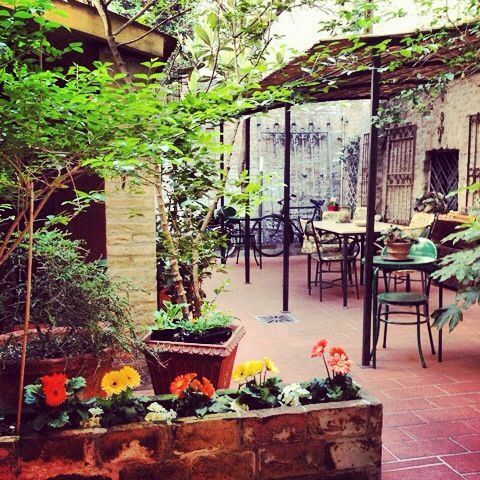 When you go for yourself, stop in at Locanda Borgonuovo and tell the family Amalia says ciao!